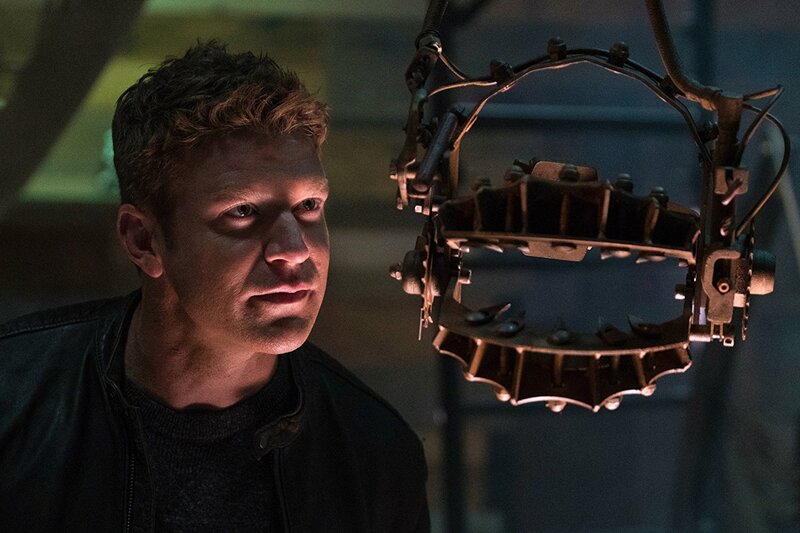 “Jigsaw” is the return of the peculiarly popular moralistic gore-fest “Saw” series which sort of got old before the first movie ended. The first film, released back in 2004, was a surprise hit. The film looked great from it's clever marketing campaign but director James Wan, who would later go on to better successes like “Insidious” and “The Conjuring,” had crafted a disappointing film from an ingenious premise. And then it went on for six more films with the advertising practically threatening the public with Saw film after Saw film every Halloween for seven years straight. 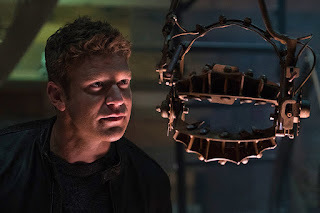 All these years later, we now get “Jigsaw” a reboot of sorts that's overall not a very good movie, but is way better than it has any right to be. Like it's predecessors it still features bland characters we don't care much about, brutal and somewhat suspenseful death scenes, and a surprisingly delicious if preposterous twist that somewhat makes the entire thing watchable. The “Saw” films were like the fast food of horror, constantly being churned out, terrible for you but people ate it up anyway. This new entry follows in the series' footsteps by providing a new batch of “victims” who are being tested by an unknown perpetrator. The film begins with five strangers locked in a room with chains around their necks. They're dragged towards a wall full of spinning buzzsaws and must give blood as a sacrifice. The game is only the beginning for these unfortunate folks. As these folks get picked off one by one by more and more gruesome traps a pair of detectives on the outside are trying to solve the mystery of where these bodies are coming from. It seems to be the work of the “Jigsaw killer” John Cramer who died a decade prior. There's a lot of “plot” here that feels out of place in a movie that people see just to see annoying characters get hacked up. It's mostly confusing for a while when the detectives begin suspecting the forensic pathologists they asked to work on the case to begin with. It's all very eyeball inducing… until the final twist is revealed and then I sat up and was like “oh that's better.” The more you think about it the more ridiculous it really is but can you blame writers Josh Stolberg and Peter Goldfinger. They aren't exactly adapting Shakespeare here. They're also the guys who wrote the remakes “Piranha” and “Sorority Row.” So basically, don't think too hard and you might find yourself having a decent time. 0806jejeLa réelle asics tiger baskets gel kayano evo noir Nike Atmosphère traditionnelle BW qui est initialement appelé chaussures nike internationalist femme le réel. Il est possible de maintenir nike internationalist en madrid un seul dans chacun nike internationalist premium argenté des véhicules de vos proches respectifs, basket nike roshe run slip ou en donner un seul à un asics gel kinsei 4 femme membre de la famille ou un ami.